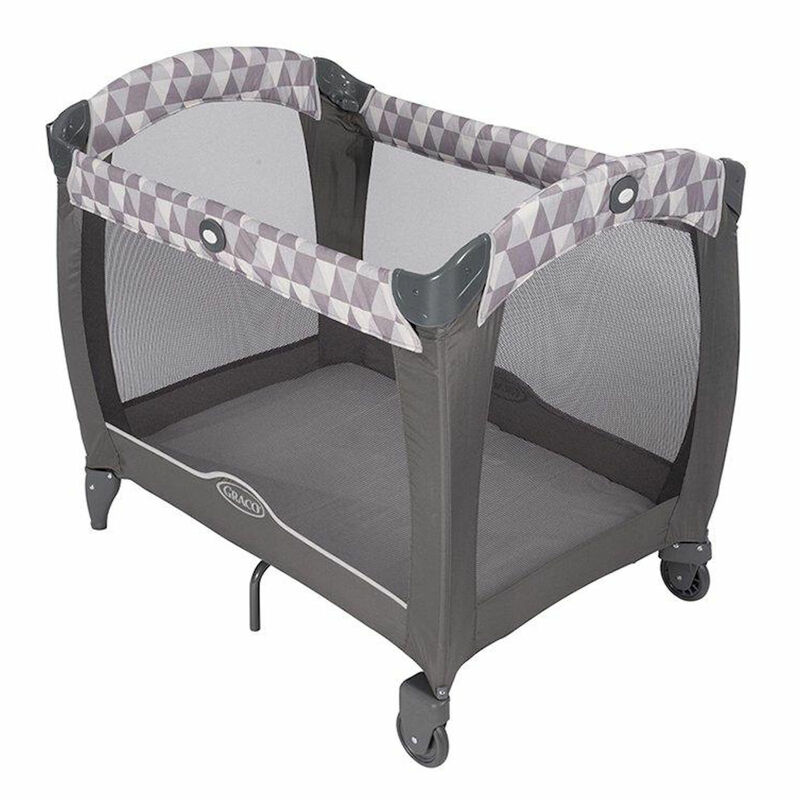 The Graco Contour Watney travel cot adopts comfort and convenience all in one! 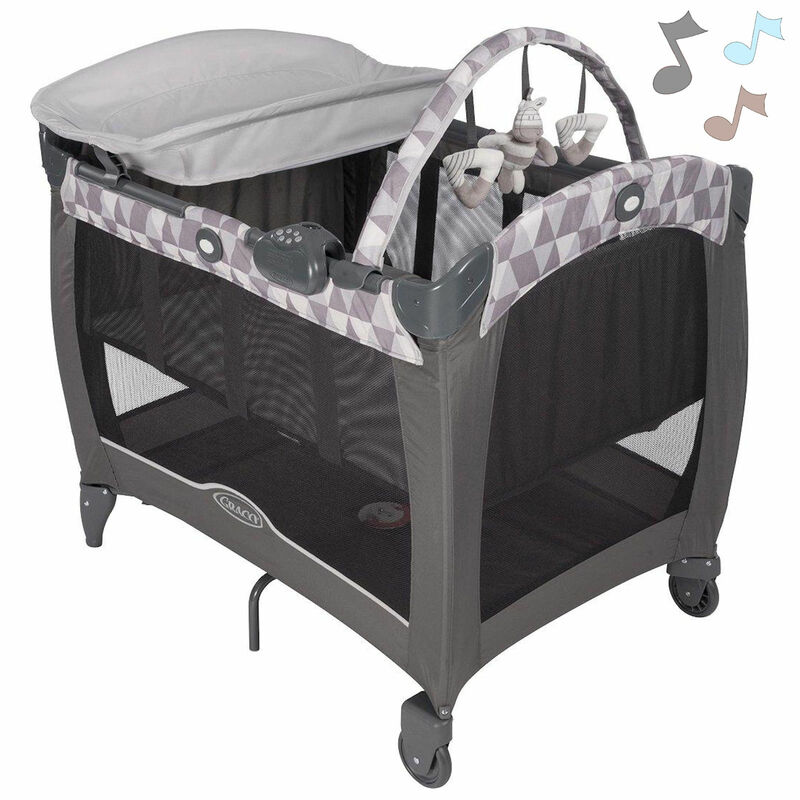 It has numerous accessories and impressive functionality designed to reduce the stresses of parental life. 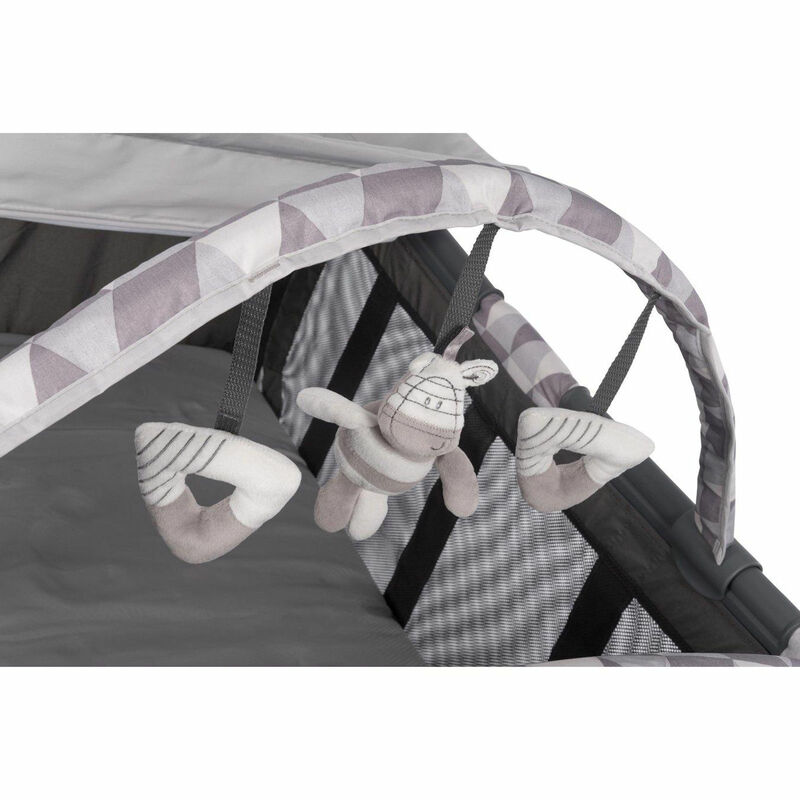 The toy bar keeps baby entertained, whilst the raised bassinet (for use up to 7kg) is included for those sleepless nights where back-strain from constantly lifting baby in and out of the cot is avoided. The Contour Storage mattress gently vibrates on a timer to soothe your baby and the nightlight and calming music (also on a timer) will send your baby off peacefully to the land of nod. Seven feet are included for perfect stability, quick and easy umbrella folding, 2 wheels for maneuverability and a carry bag (with hole for the wheels) makes transportation easier. 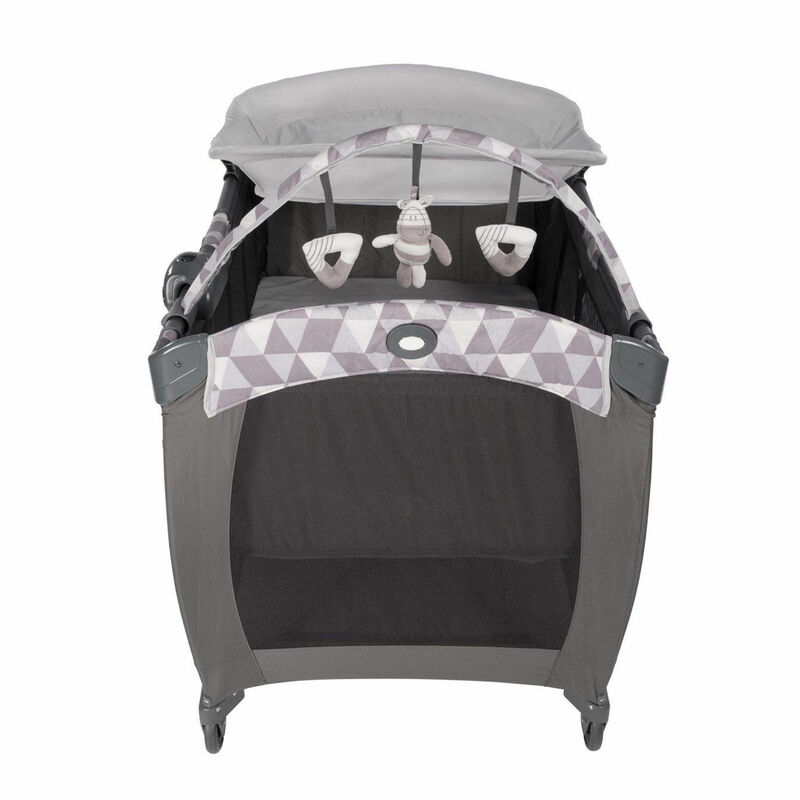 All of which makes the Contour Electra the perfect choice for parents of an astute nature.